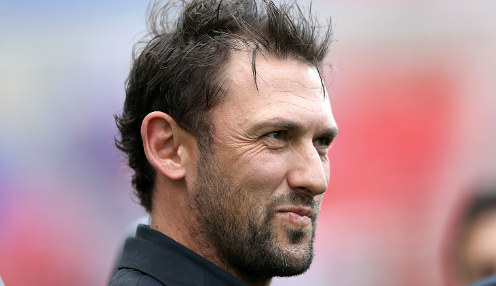 New Perth Glory coach Tony Popovic is keen to get the club believing they can go deep in the A-League finals. Popovic comes up against his former club Western Sydney in the opening round on Sunday in his first game in charge, after he replaced Kenny Lowe. He won the Premier's Plate with Wanderers, and then coached them when they became the first Australian club to win the Asian Champions League. Having proved he can win silverware, his task will now be to lift Perth out of a period of little success. The Glory missed out on the Finals Series last season, and haven't made a Grand Final since 2012. Speaking of the club's expectations of success, Popovic said: "At the moment, I think it's more of a hope they can deliver. It's up to us to create that expectation, and we have to do it with actions, not words. "We want to be in a situation where we are playing home semi-finals, which gives you the chance of winning the title. It's a big challenge, but we're not limiting ourselves in terms of our ambition." The 2014 AFC coach of the year may have no need to prove himself on his return to the A-League, but he's glad to be back after a nine-game stint in charge of Karabukspor in Turkey. That spell ended last December and his first game back by coincidence pits him against Western Sydney. He said it wouldn't feel that strange coaching against them as he had been overseas in between. "My respect for the club will always remain, it has to after what happened there," added Popovic. "I'll be happy for them to win - but not against us." Perth are 2.30 to beat Western Sydney, who are 3.00 with the draw 3.60. The Glory are 10.00 to win 1-0.